Many brands are only coming to realize the power of Instagram in recent times. 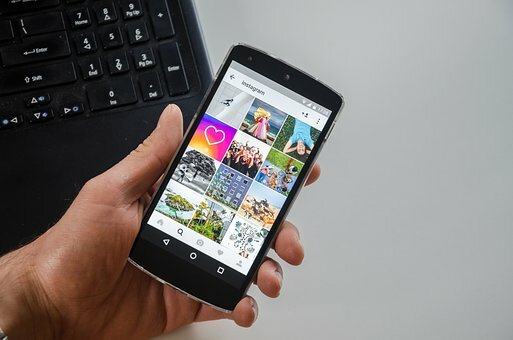 Although Instagram has been around for a few years not many brands made the attempt to use it to promote their business. This has all changed with Instagram currently having the most user engagement. If you are still contemplating the effect of this platform, now may be the time to start using it. You need to make creativity the first tactic of Instagram. Once you master this you are well on your way to successfully promoting your brand. With over 400 million users up to date, it has an impressive reach. One of the first things marketers need to understand is not that you should build any following, it needs to be a strategic following. The audience that you gather should be connected to the brand and they should eventually become brand ambassadors. You can start by partnering with other Instagram marketing platforms. What other Instagram accounts target similar audiences? These are the people you want. First, you can have decide to share partnerships. You share one partner’s content, and encourage your followers to follow that particular account. This gives them access to your audience, and gives you access to theirs. Build your email list as email marketing is critical to a growing business. Convert your users into subscribers. Your email list should have your followers on it. These are people who will likely purchase from you. Use email marketing to promote your products or services. While Instagram doesn’t allow for links in the photo description, it allows for a descriptive bio. A well crafted bio which is short, useful but packed with intention will do the trick. You can also use a URL or specific call to action in your bio. Take your visitors to a unique and well intentioned page. Ensure this page is packed with value and purpose. This is what visitors are looking for. They want to be shown something with meaning and purpose. Your content should be compelling and worthy enough to be shared with others. Create easily digestible, yet beautiful content that resonates with people. It should pull at their heartstrings. The more people share your content, it gives your brand an opportunity to interact and engage with new audiences. This is crucial to brand growth.